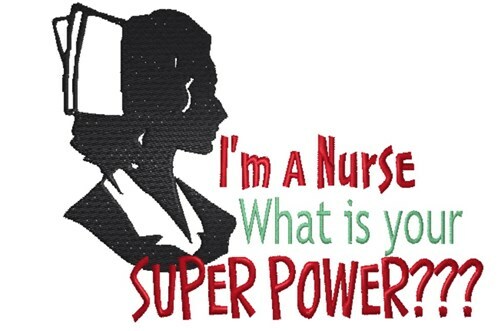 Show your support for those that save lives with this silhouette design of a nurse. Try adding it to a scarf or blouse for your favorite nurse. King Graphics is happy to present Nursing Super Powers! machine embroidery design which has 11841 stitches and is [137.16 mm x 101.60 mm] large. If you would like to view more embroidery patterns please search on our embroidery designs page.